Research-based and award-winning, Bridges makes it easy for any center or facility to offer an intergenerational music experience. We’re in the midst of what some are calling the “age wave”--older adults comprise a larger percentage of the American population than ever before, and those numbers are only expected to climb. The need for elder care and support services is at an all-time high, and everyone from policymakers to caregivers is searching for ways to address the physical, intellectual, and social-emotional needs of the elderly. Kindermusik® has been making music with young children and their families for more than 40 years. With Bridges, you get the additional dimension of intergenerational play! 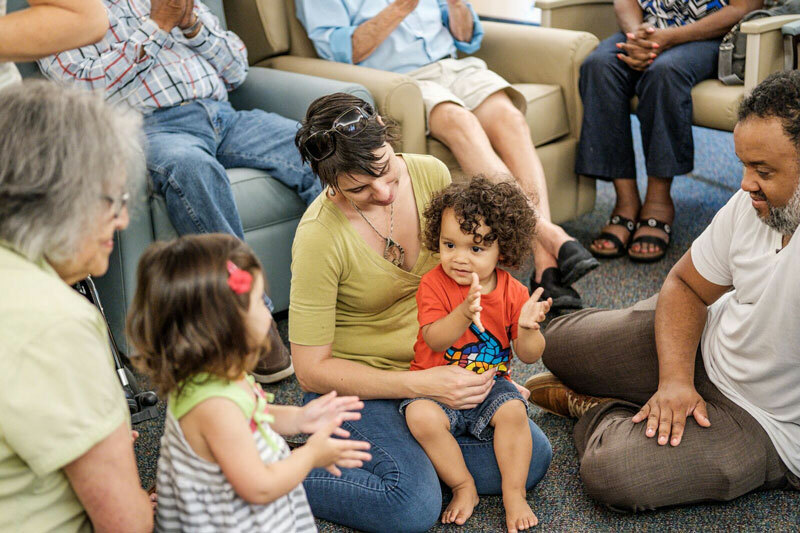 This joy-filled Kindermusik experience creates meaningful moments and enriching interactions between seniors, young children, and their family members. The music and instruments have been carefully chosen to facilitate singing, dancing, and instrument play by all. Seniors enjoy “teaching” the children, and children enjoy “helping” the Seniors, and families get the additional benefit of providing their children the developmental benefits associated with group music-making: from language and math skills, to healthy social-emotional growth. 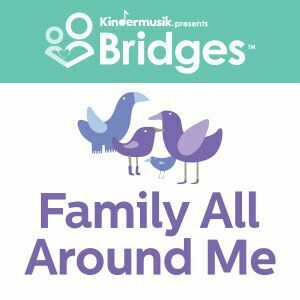 Ideal for recreational therapists, music therapists, and program or activity directors, Bridges includes all the songs, props, instruments, and instruction needed to create an unforgettable intergenerational music experience. 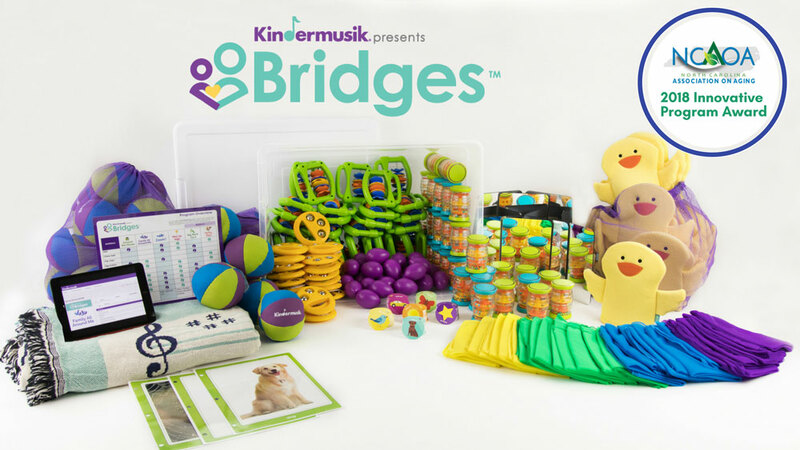 The Bridges Albums facilitate the lessons and guide participants through an irresistible playlist of fun including, timeless tunes, engaging movement activities, and hands-on instrument play. Activities are intentionally designed and strategically sequenced for maximum engagement. Each session can be customized to meet the interest and strengths to your group. 24 weeks of fun-filled music and activities. Kindermusik® instruments and props for all participants. Comprehensive marketing toolkit complete with: brochures, posters, sample ads, and more! Visual cards, stickers, storytime blanket, and more! Wake Forest School of Medicine is currently investigating the physical and cognitive impact that Bridges, as a non-pharmacological intervention, can have on seniors, including those with Alzheimer's and dementia. They have partnered with the Senior Services Williams Adult Day Center in Winston-Salem, NC, where the Bridges program was successfully piloted. Results of this groundbreaking study are expected in the fall of 2018. Bridges has created so many moments of joy, especially for Carol and Carl.